GUIDE PRICE £500,000 - £550,000. Attention all home hunters! We are delighted to offer for sale this detached bungalow which is situated on a large plot. There is planning permission granted for a single storey rear extension (please see Ref: 18/01274/FUL and alterations to the rooms in the roof space Ref: 18/01273/PDCPI via London Borough of Bexley Planning Department). The property offers spacious adaptable family accommodation comprising: lounge, separate dining room, fitted kitchen, four bedrooms, family bathroom and shower room. Double glazing and central heating are also featured. There is also a large garden to the rear of the property plus a driveway to front providing off street parking for several cars. Slade Green offers many facilities including local shops and public houses. Slade Green also has a mainline railway station with regular services to London. Road links from the area give access to A2/M2, A20/M20, M25 and Dartford Tunnel as well as the Bluewater Shopping Complex and Ebbsfleet International station. Double glazed door to front. 18' 3" x 14' (5.56m x 4.27m) Two double glazed windows to side. French doors leading to garden. Two radiators. Carpet. 20' 6" x 6' 6" (6.25m x 1.98m) Double glazed window to side. Double glazed window overlooking garden. Range of wall and base units with co-ordinating work tops over. Double oven and gas hob with cooker hood over. One and a half bowl sink unit. Plumbed for washing machine. Walk-in cupboard. 15' x 11' (4.57m x 3.35m) Double glazed window to front. Radiator. Laminate flooring. 11' x 8' 3" (3.35m x 2.51m) Double glazed window to side. Radiator. 12' 3" x 10' 8" (3.73m x 3.25m) Double glazed window to front. Radiator. Laminate flooring. 10' 6" x 8' 3" (3.20m x 2.51m) Double glazed window to side. Radiator. Carpet. Double glazed window to side. Low level flush W.C. Panelled bath. Sink. Tiled walls. Tiled flooring. Walk-in cubicle. Low level flush W.C.
70' x 40' (21.34m x 12.19m) approx. Fenced. Patio area. Lawn area. Driveway with off road parking for several cars. 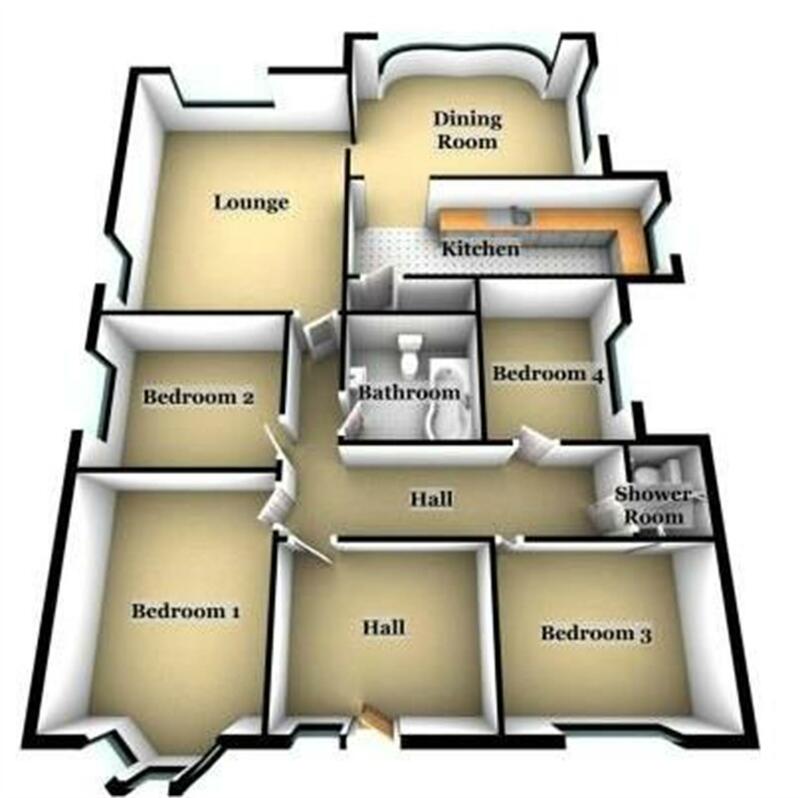 We are informed this property is in band D. For confirmation please call London Borough of Bexley on 0345 302 23170. Viewing via Clifton & Co on 01322 227700.